anyone know these adapters part #'s please? Re: anyone know these adapters part #'s please? A quick search didn't find me much info, but they don't appear too difficult to make your self if you got some tools? IMPCO E / 425 mixer - A518 OD-trans - 3.55 gears - 225/50/17" tires. There is a number on the bottom one but I can't make it out. This engine in yet another ute was Cobra and 125 did well. This ute has an L in it in readiness for the turbo engine and the 125 just did not wanna work with the L, so I slapped the 200 on to see if it fixed the problem. Problem is that in NA form it can bog down a little. I reckon I could make a prototype air box and ducting out of timber first and do away with idea of these adapters and just make sure I use a thread locker on screws that will be in the air box heading towards the turbo or intake on the NA version. The old books prior to computers had pretty good descriptions. 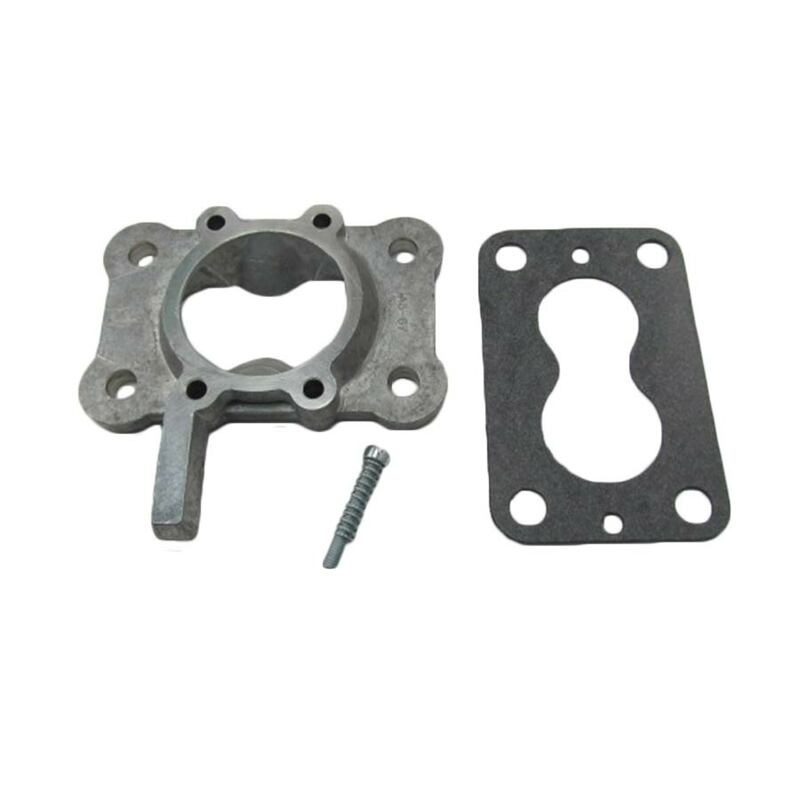 AA3-67 is listed for Mitsubishi lift truck throttle body. AS3-10 is listed as an adaptor to turn the mixer 90 degrees for Allis Chalmers engines. Obviously it can work on any application with the 100 or 125 mixers. You guys did a good job of tracking the numbers down. I went to a book I still keep from the 60's and 70's to verify the numbers. Yeah, the copy I had said the second part rotated the air horn 90 degrees and I figure the air horn is on the intake side. Maybe the air horn is also on the outlet. Pre internet listings! I have some e-copies somewhere of late 70's early 80's Impco sheets.